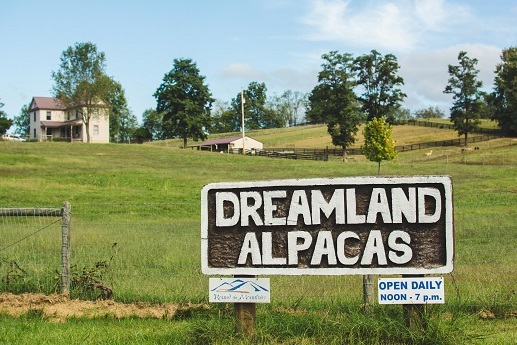 Dreamland Alpacas LLC is Family Friendly, alpaca farm located in Meadowview, Virginia owned by David & Debbie McLeish. 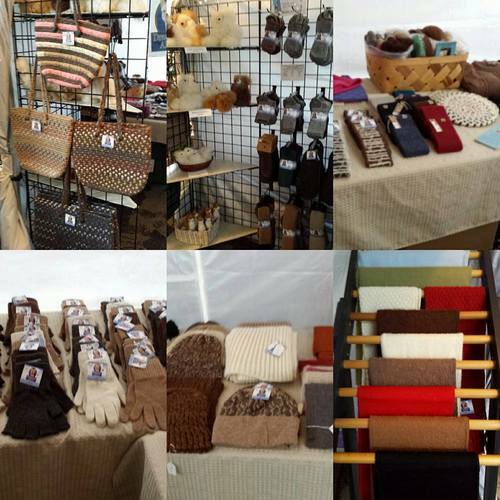 Our farm store is open year round for your alpaca product needs. 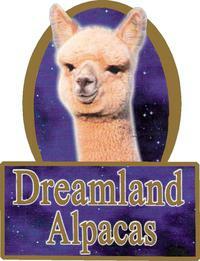 We offer more than just alpaca sales. Our farm boards, breeds, and mentors. We will be happy to teach you what to do with your fiber once your animal has been shorn. Lessons in crocheting, weaving, needle felting, rug making, knitting, dyeing and more. 90 days FREE BOARD with purchase of an alpaca. Females come either pregnant or with a free breeding. Starter packages and financing available. We are an Abingdon Farmers Market vendor. 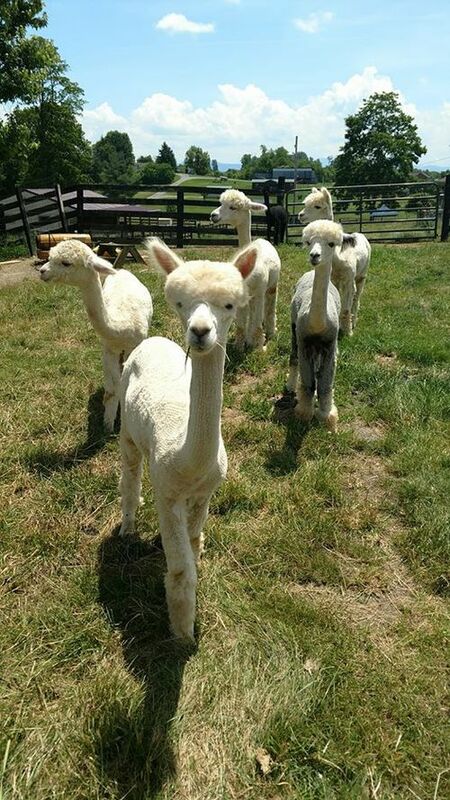 If you are looking for something special that is not listed on our website please call us as we do not have all available alpacas listed. Farm Tours Welcome - Located in Meadowview, VA - just North of Abingdon, VA. 20 Miles North of Bristol,VA/TN and 20 Miles South of Marion,VA. We are easily found just 1 1/2 miles off Interstate 81 at exit 24. I 81 North to exit 24, take a left at end of ramp (if traveling I 81 South take right at end of ramp), then a left onto Hillman Highway, 2nd right onto Lindell (Rt. 80), turn right immediately after the sharp left bend onto Rt. 797 onto Sherwood Drive, then first left onto Bell lane. If your GPS says Ryan Road skip it as it is no longer there. Families, School groups, Boy & Girl Scouts, Church Groups, Special Needs and Handicapped people always welcome, etc. 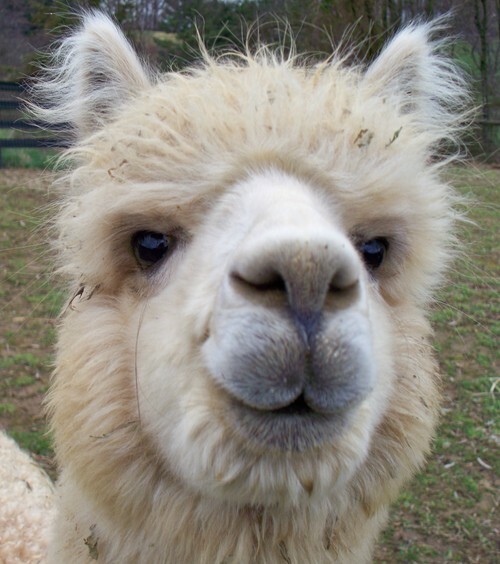 We are full time alpaca breeders who think customer service should come first BOTH before and after the sale. 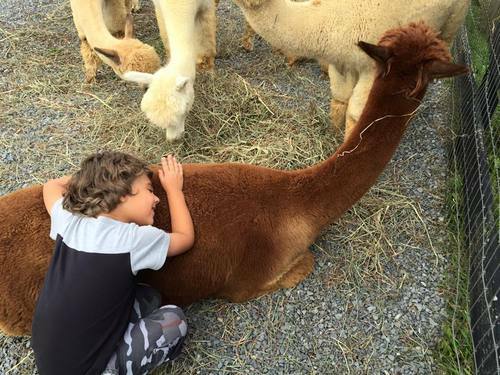 We love to show our alpacas to visitors and are happy to answer any questions you have about them. If you are considering raising these lovable animals give us a call to schedule a visit. We have added chickens and Southdown Miniature Babydoll Sheep to our herd. Blood lines on the farm include: Sheer Galaxy, AofO Silver's Rising Star, AofO Accoyo Craftsman Revolution, The Aka Khan, Simba of A.L. Paca's, Peruvian Legacy 6016, AofO Silver-Celebration, HHWI Accoyo Craftsman by Goldsmith, Shaquille, Snowmass Midnight Illusion, CPERUVIAN SILVIO 106 IMPF98.